We aim to provide a comprehensive range of services, including a Product Sourcing / Procurement Service. In addition to the products available on our website, we can now access a much wider selection of items. 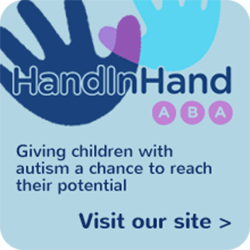 We can take advantage of our great network of contacts to bring you an extensive range of sensory and autism specific products. We can also offer competitive pricing and provide a deeper range of products. So…if you don’t find exactly what you are looking for on our website, drop us an email and let us know what you are looking for. We have supplied and continue to supply a number of local education authorities, independent schools and families to their specific requirements. Along with our own experience and expertise, we ensure our product range is reviewed by a number of leading experts for relevance and application. Furthermore, we can provide advice and suggestions if you are looking for some useful input depending on your specific needs. Any Specific Products – especially those that are difficult to find! We aim to provide great products at competitive prices. A quote will always be provided before any commitment to purchase. All quotes can be rejected in their entirety without charge. Treezy will work to its best ability to work within any required time frames. Drop us an email with a few details or ideas about what you are hoping to achieve. If you have a kit size, budget, classroom setting, home setting, travel kit or something different just let us know so we can best advise you.